In uninsulated homes, roughly a quarter of all heat escapes through the roof. That’s a large portion of your energy bills that’s going to waste, but for most people, this kind of heat loss is the easiest to prevent. Loft insulation is both cheap and simple to install – providing there’s access to the loft, it shouldn’t take an installer or decent DIYer more than a couple of days. Do I need loft insulation? There are many ways to tell if your house needs loft insulation. If you can get into the loft, measure the thickness of the insulation that’s already there. Since 2003, current building regulations recommend a depth of at least 270mm (mineral or glass wool) in the loft – use this as a starting point rather than a finishing line to see larger savings. In 1995, the recommended depth was 200mm. Prior to that it was less than 100mm. The chances are that even if there’s insulation already there, you would benefit from topping it up to over 270mm. If you can’t access your loft, good indications of poor insulation are pricey energy bills or a cold house. Another tell-tale sign is if your roof is a hotspot for birdlife. Birds love standing on warm surfaces to conserve heat, especially when it’s cold. If your roof is frequently occupied by birds on frosty mornings, it’s possible that they’re making the most of the heat escaping from your home. Another indication that you are in need of loft insulation is after heavy snowfall. If your neighbour’s roof has loads of snow on it whilst your own roof is snow-free, it really needs insulating. What do I need to do before insulating? As always, remember to use the necessary protection (skin protection, a dust mask and goggles) as some insulating materials can cause irritation. Damp can spell disaster for insulation and wooden structures, so make sure that the roof is in good condition before installing anything new. There are two ways to insulate homes with a pitched roof: cold loft and warm loft insulation. The easiest and cheapest option for DIYers, a cold loft has insulation covering the floorspace, preventing heat from rising into the loft area. You’ll need to raise the loft’s floor height and insulate over the access hatch to achieve the recommended 270mm depth. The insulation used is generally blankets or boards. Green Deal and ECO grants are only offered for cold loft insulation. Warm lofts have insulation fitted to the underside of the roof, between and beneath the sloping rafters. The installation will take longer and the ceiling height may be lowered for better insulation. If you’re planning to convert your loft, you’ll need approval from Building Control. Clear out your loft. If there’s some insulation already in place, you don’t have to remove it unless it’s been seriously compromised (e.g. if it’s damp or mouldy). More is almost always better with insulation, and the materials can retain their insulating properties for a long time. The insulation (eco-friendly options include sheep’s wool blankets and wooden boards) should be level with the top of the joists, so the thickness will depend on how much insulation is already installed and how much of the joist is still exposed. If in doubt, oversize the width of insulation. You can always trim it later with some scissors or a saw when it’s in the loft. Lay the insulation between the joists, leaving a 25mm gap around the bottom of the rafters for ventilation. Do not squash the insulation into place, as this reduces the material’s ability to insulate. The insulation should fit snugly – not compressed – up to the same height as the joists. Loose-fill insulation (we recommend cellulose) is handy for filling areas where installing bulky blankets isn’t possible. Any wires for lighting should go above the insulation. If the insulation causes the wires to stretch, call an electrician. Recessed light covers (also called downlight loft caps) should be used wherever necessary to prevent a potential fire hazard. Cold loft insulation essentially stops the heat from entering the loft. Any pipes and tanks should be insulated with pipe lagging and cylinder jackets to stop them from freezing. To achieve the recommended 270mm, the floor height of the loft will have to be raised. If you don’t plan on using the loft, then a second layer of blanket insulation can be placed crossways over the joists and lower layer of insulation. If the lower layer is 100mm deep (this depends on the height of the joists), 170mm-thick blanket insulation is readily available in most DIY stores. However, blanket insulation isn’t a suitable surface for walking on or bearing weight. If the loft is used for storage or otherwise, you will need to install a new layer of wooden battens and blanket insulation at a 90o angle over the original layer. You can then fit wooden boards over the top for the new floor cover. 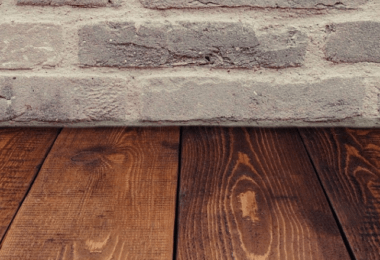 Alternatively, some types of solid insulation boards come with a timber decking to serve as the floor. These are generally more expensive, but they have a higher thermal resistance than blankets and help to conserve space. Fix a square section of insulation over the loft door. Alternatively, you can buy a pre-insulated loft door to replace the original one. Use draught excluders around the loft hatch – since less heat will rise into the loft, any draughts coming down through the ceiling will be colder. Draught excluders help to prevent this cold air from entering the house. Another option for insulating unused lofts is with loose-fill insulating material. 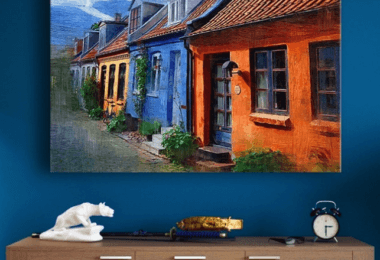 This is particularly useful for houses where accessing the loft is tricky, such as period houses and listed buildings. 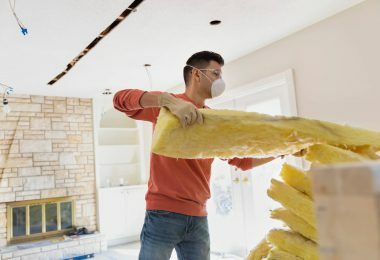 You’ll need to hire an installer with the necessary equipment to blow loose insulation into the loft, but the install is generally inexpensive, only takes a few hours, and every nook and cranny can be filled. Consider using natural materials like cellulose or recycled newspaper. Insulating the underside of the roof can offer better levels of insulation than cold lofts. We advise getting an installer to do this properly. Warm lofts are a more expensive option, but it’s ideal for loft conversions, and it allows you to store more heat-sensitive items. For the full recommended depth of 270mm, insulation must be installed between and beneath the rafters. You’ll also need Building Regulations approval before work can begin. Firstly, solid board insulation (typically polystyrene) is installed between the rafters, leaving a 50mm gap between the underside of the roof (or sarking) and a 25mm gap at the bottom of the rafters for ventilation. These boards can be pre-cut to size if you know the depth and space between the rafters. Others come with a spring-like design for easy fitting. A smaller layer of insulation-bonded plasterboard is then fitted to the bottom of the rafters to finish. Ideally, insulation would be added to the loft floor and to the underside of the roof. If you’d rather not pay for an installer, then laying 270mm-thick insulation to the loft floor along with stapling a multi-foil layer to the sloping rafters will go a long way to insulating your home. Multifoil layers are a good alternative to sheet insulation if your rafters are too thin. They’re quick to install, and they have a high thermal resistance relative to their thickness. Flat roofs are notoriously poor insulators. They’re also more prone to leaking and damage from condensation, so if your flat roof is in bad condition, converting it into a pitched roof is seriously worth considering. If this isn’t an option, flat roofs should be insulated from above wherever possible. This avoids the risk of moisture building up within the roof, leading to structural damage. You’ll need an installer to carry out the installation, which comprises solid insulation fixed over the top surface of the roof, or if this is damaged, over the wooden joists before the final layer of weatherproofing is laid on top. Your installer will ensure that any work done to your flat roof is compliant with current Building Regulations.